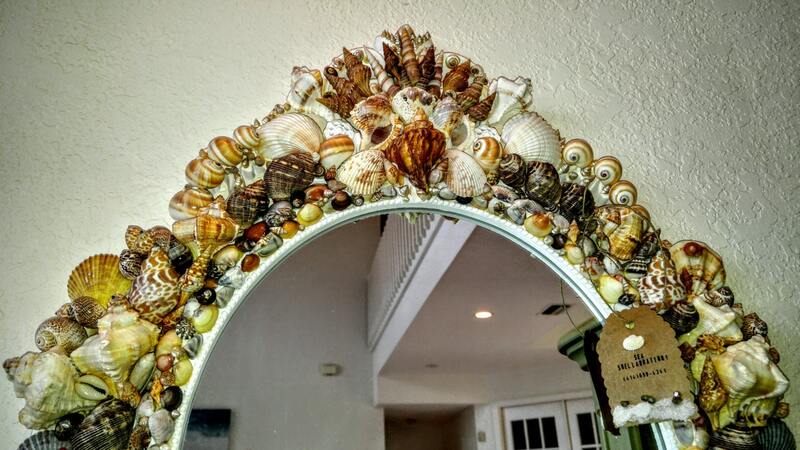 EXQUISITE, seashell encrusted, large baroque framed wall mirror. "The West Indies" captures the essence and aura of the tropical island mystic. 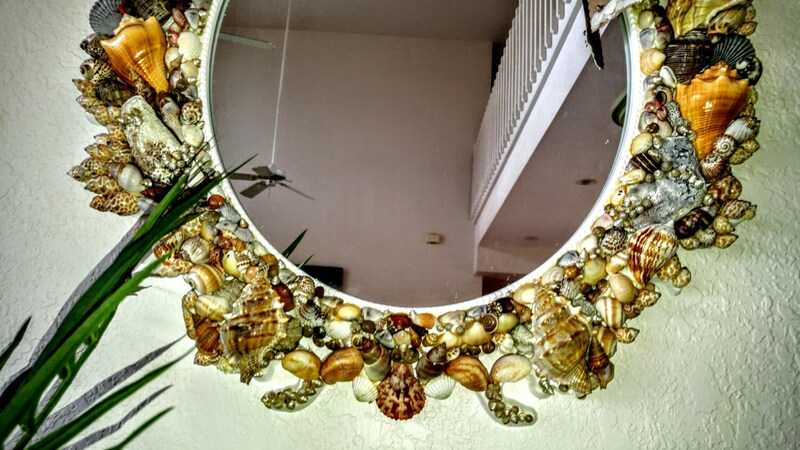 Literally thousands of sea shells adorn this mirror; combining locally, hand picked shells, from the pristine beaches of Boca Grande as well globally sourced, creating a spectacular, focal point masterpiece. Great attention to detail, each shell carefully pieced together, the end result; a crown jewel statement piece that will surely command adoration and timeless appeal, worthy of it's name. From coastal to colonial, no matter the design style, this mirror will add great character and command attention for many years to come. 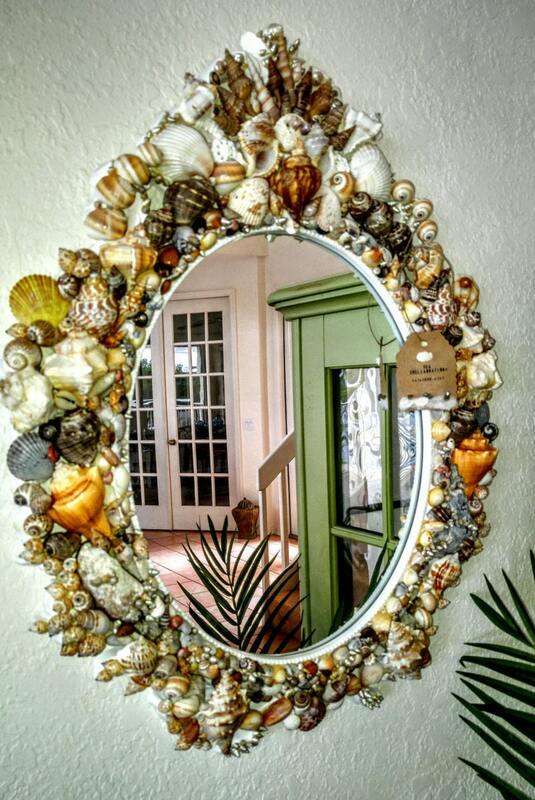 Discerning buyers, your dream mirror awaits! 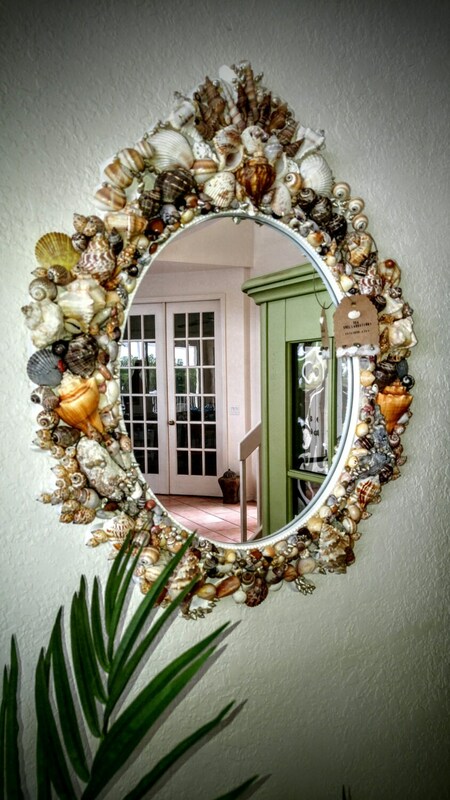 PLEASE NOTE: THIS EXACT MIRROR IS UNAVAILABLE AND SERVES FOR PURPOSE OF PROTOTYPE OF YOUR VERY OWN CUSTOM MIRROR FROM SEASHELLABRATION. BAROQUE FRAME AVAILABLE AND READY FOR YOUR VERY OWN CUSTOMIZATION. 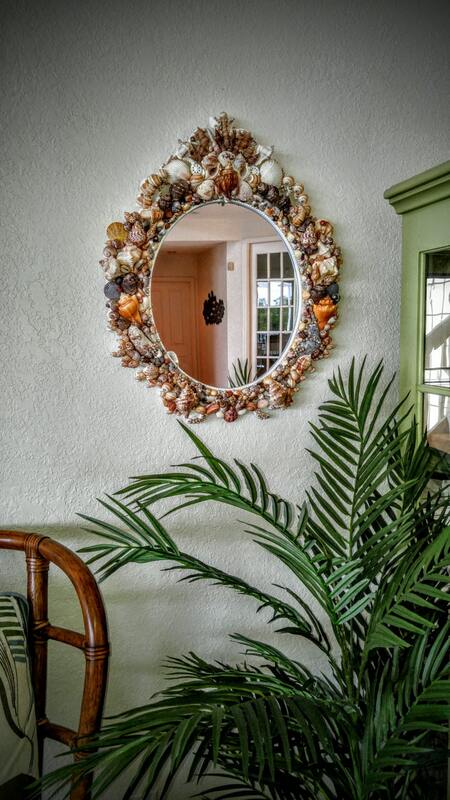 THIS EXACT MIRROR HAS BEEN SOLD. Thank you for viewing my artistry! USPS Priority or equivalent UPS. I will begin preparing your order for delivery upon receipt, keeping in mind I exceed packaging standards to prevent damage during shipping. I use recycled packaging materials when possible. Tracking, signature confirmation and insurance are standard policy unless otherwise waived by the buyer. If you are not completely satisfied with your purchase, please contact me and we will work it out. It is my goal that your experience with SeaShellabration is positive. I strive to meet or exceed your expectations to the best of my ability!